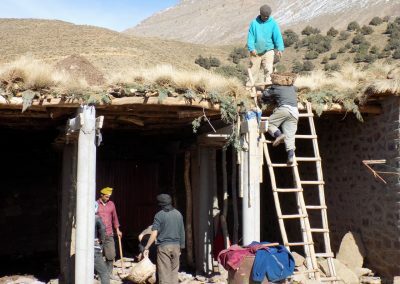 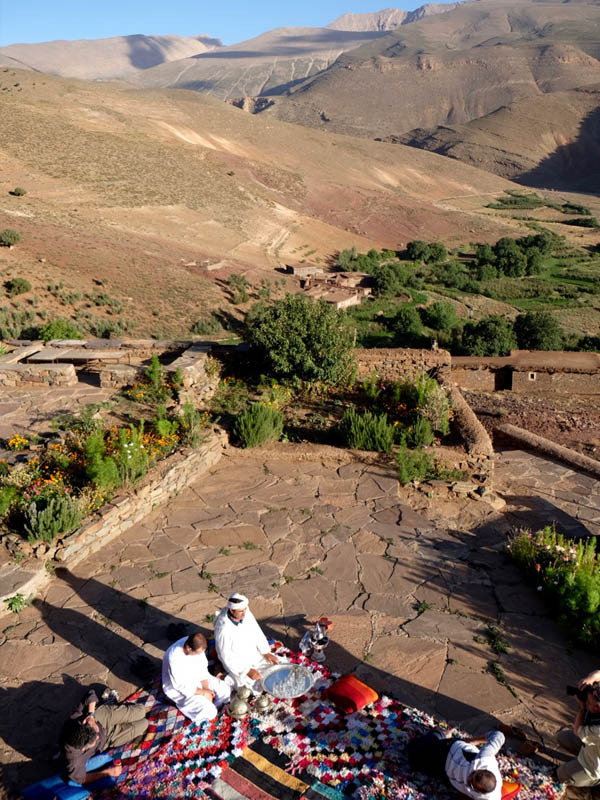 Accommodation in Ait Bougmez Valley in the High Atlas Mountains. At Touda Ecolodge, come live the story of Berber culture with us. 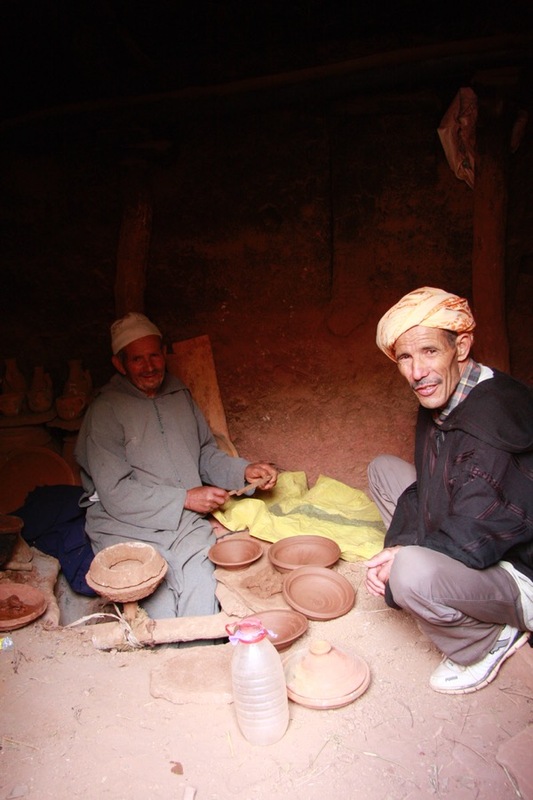 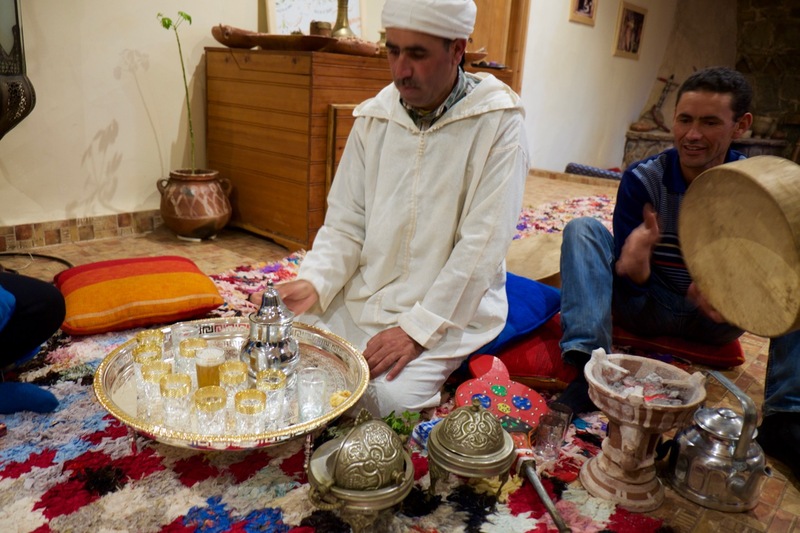 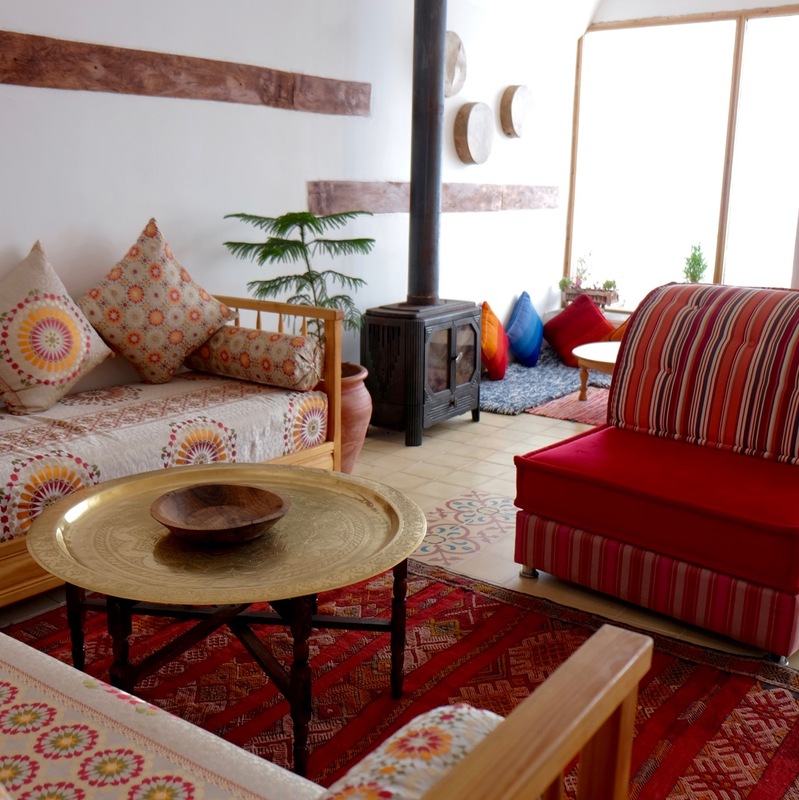 Touda Ecolodge offers a chance to explore Ait Bougmez Valley, enjoy luxury eco friendly accommodation, and immerse yourself in the environment of the local Berber people. 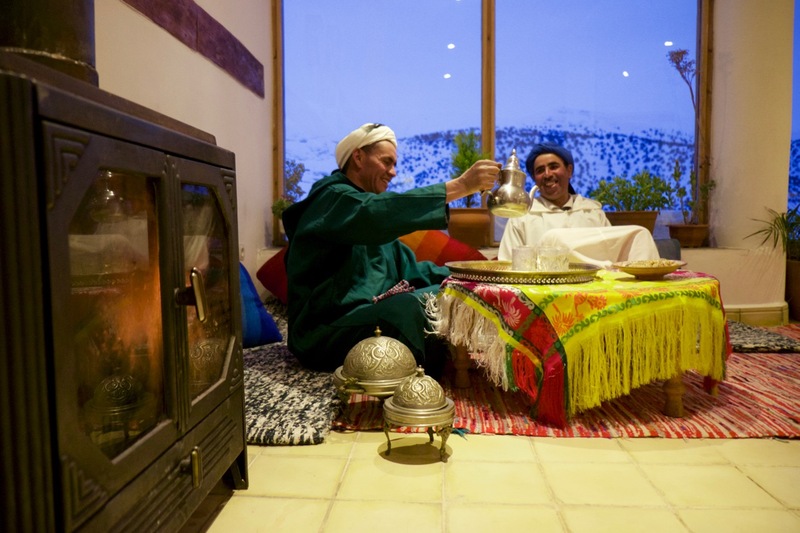 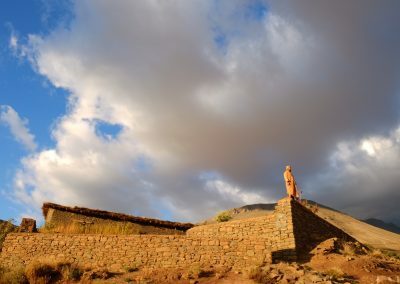 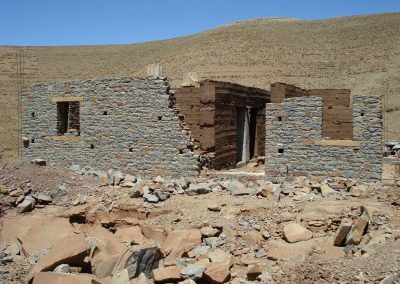 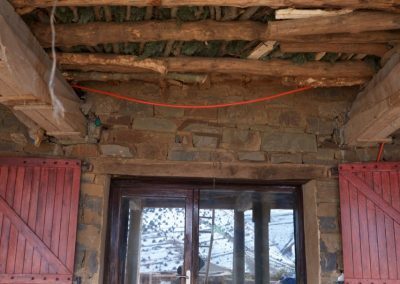 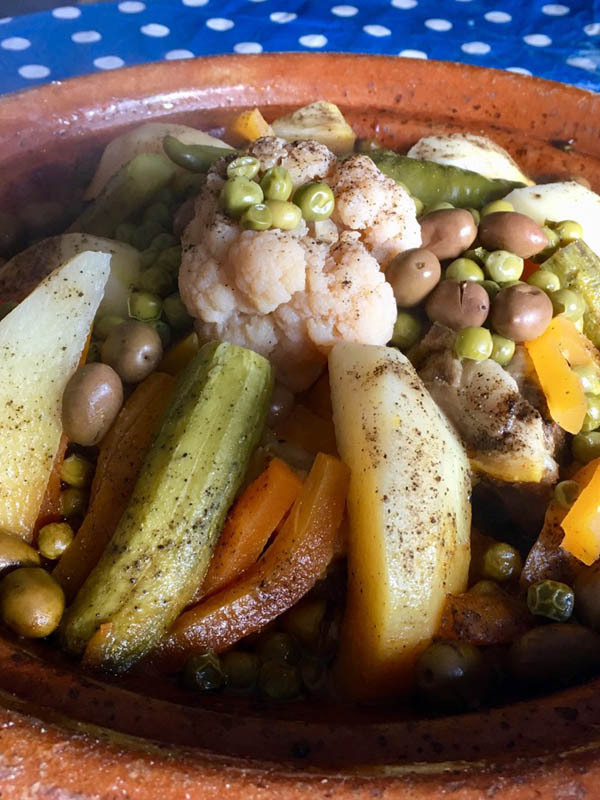 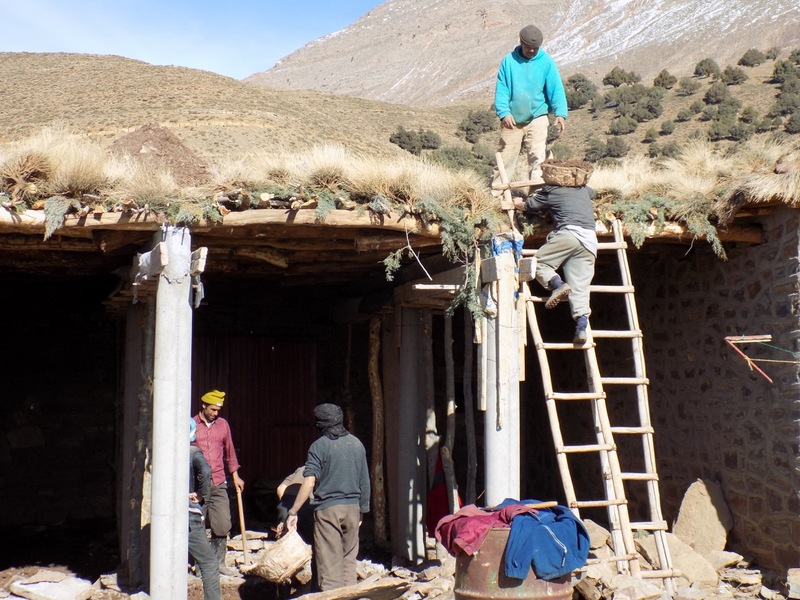 Touda EcoLodge was born following a meeting between Said Marghadi, a Berber guide from the High Atlas Mountains, and Ali, chief of the Zawyat Oulmzi village in the Ait Bougmez Valley where the guesthouse is located. 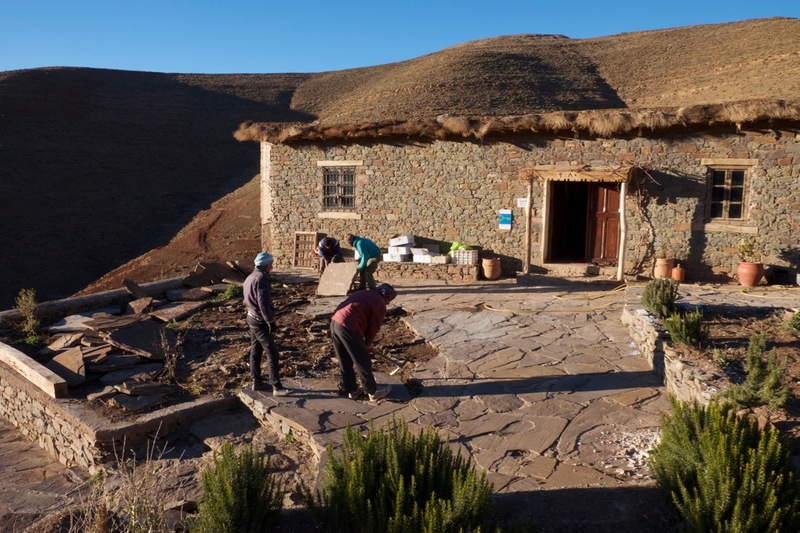 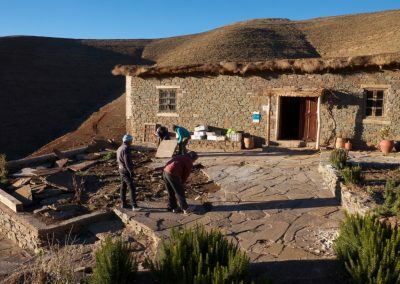 Between 2007 and 2008, Touda EcoLodge, perched at 2715 metres above sea level (the valley is 2200 metres above sea level) overlooking the vast Ait Bougmez Valley, was constructed. 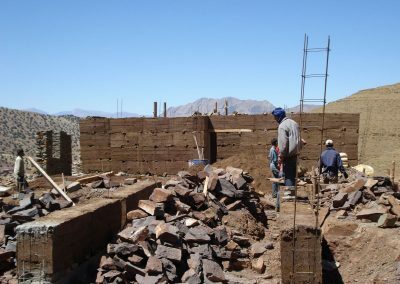 Since roads leading to Touda EcoLodge did not exist at the time, local tradesmen transported locally sourced materials using mules. 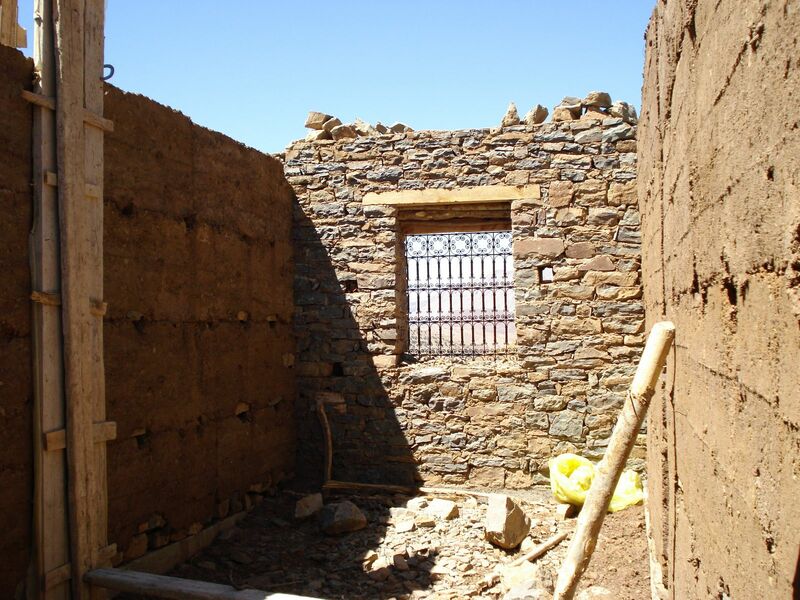 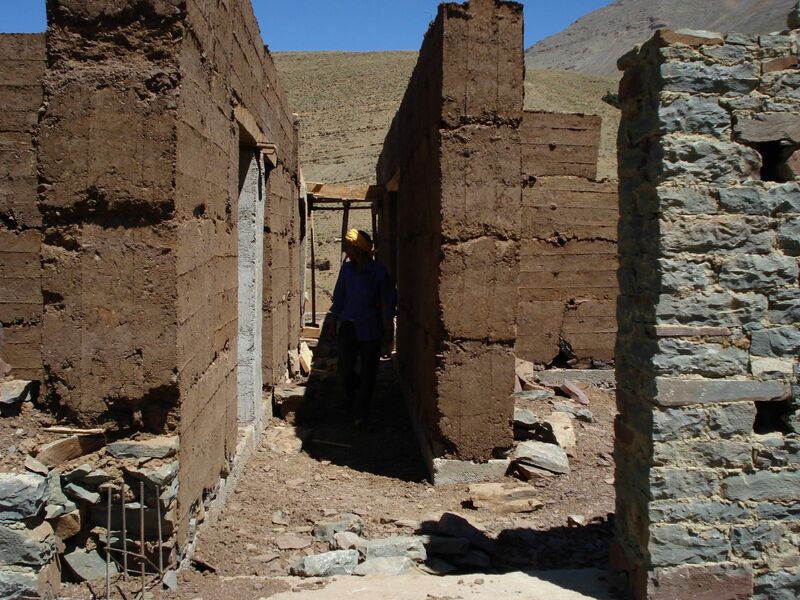 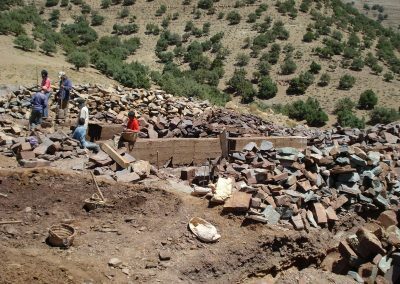 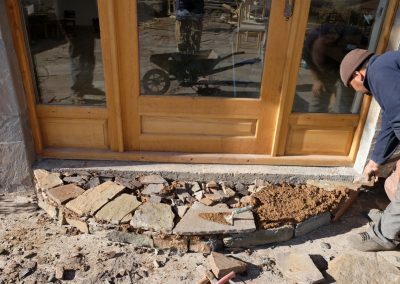 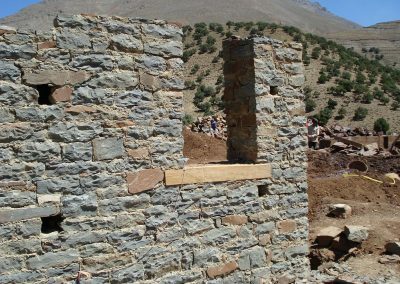 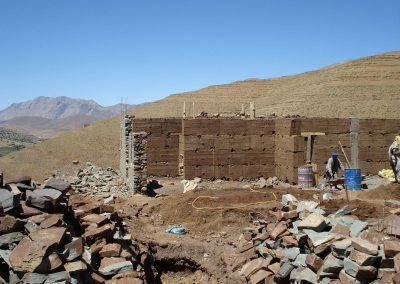 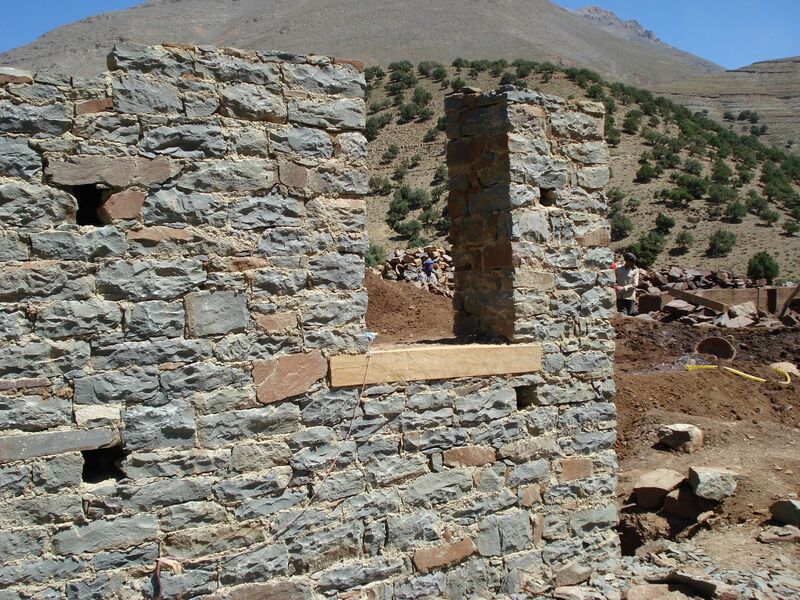 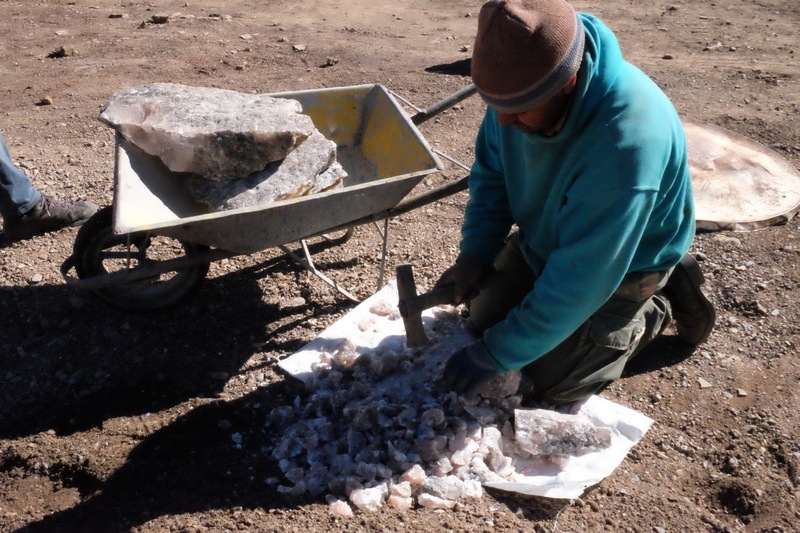 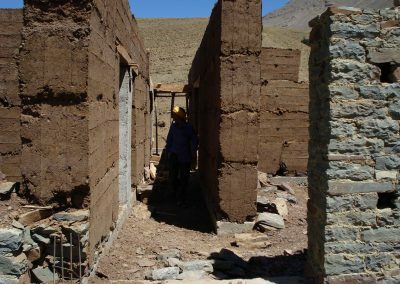 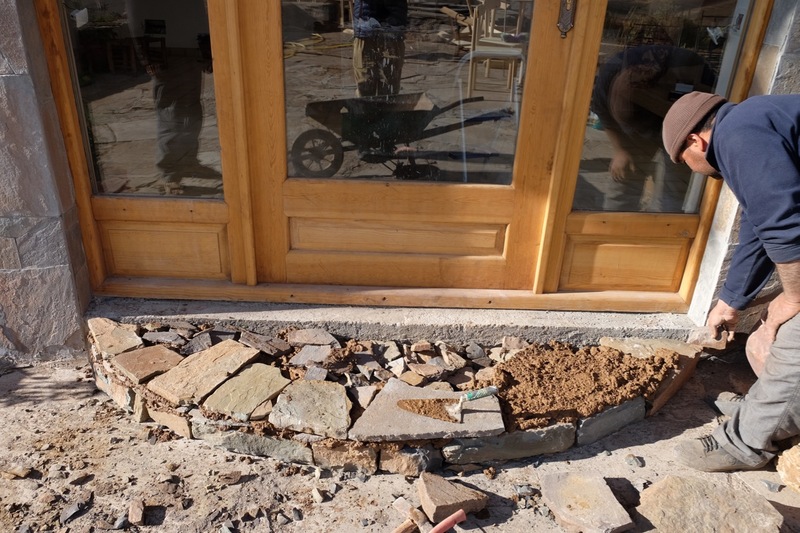 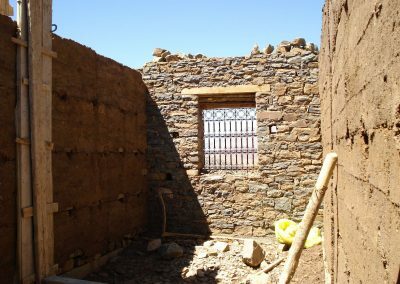 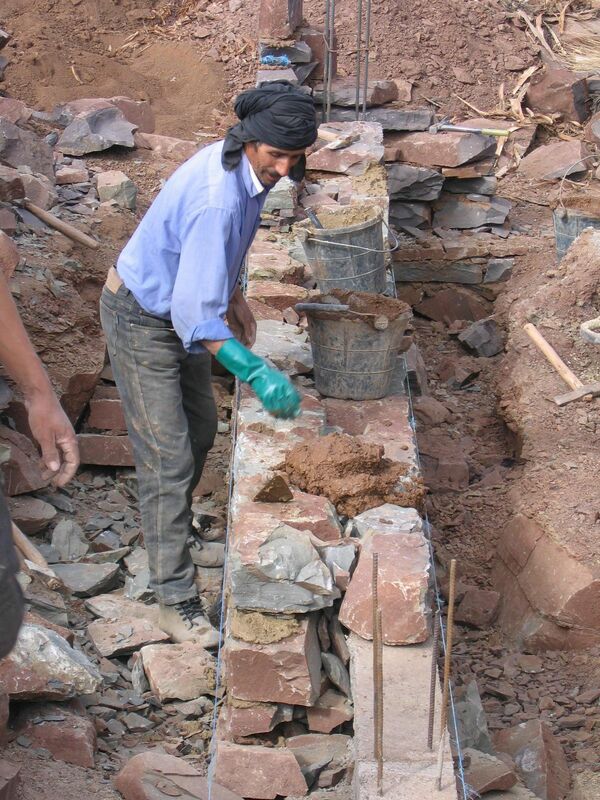 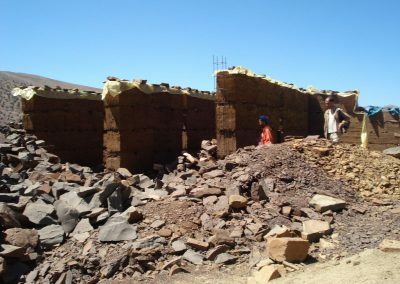 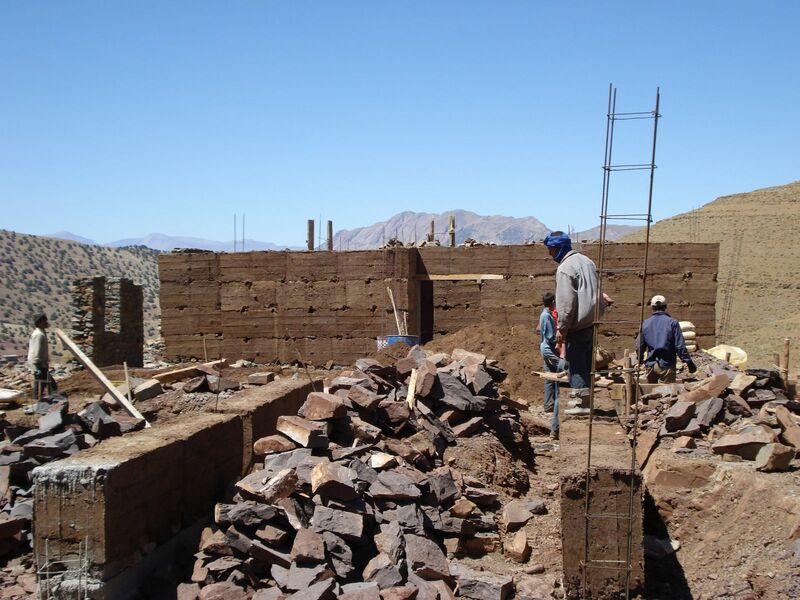 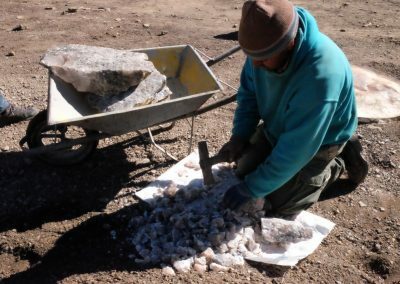 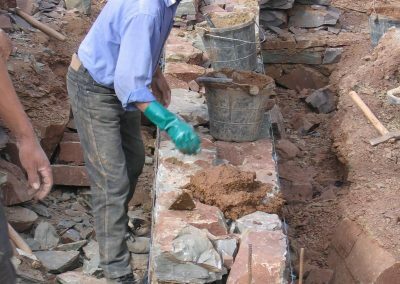 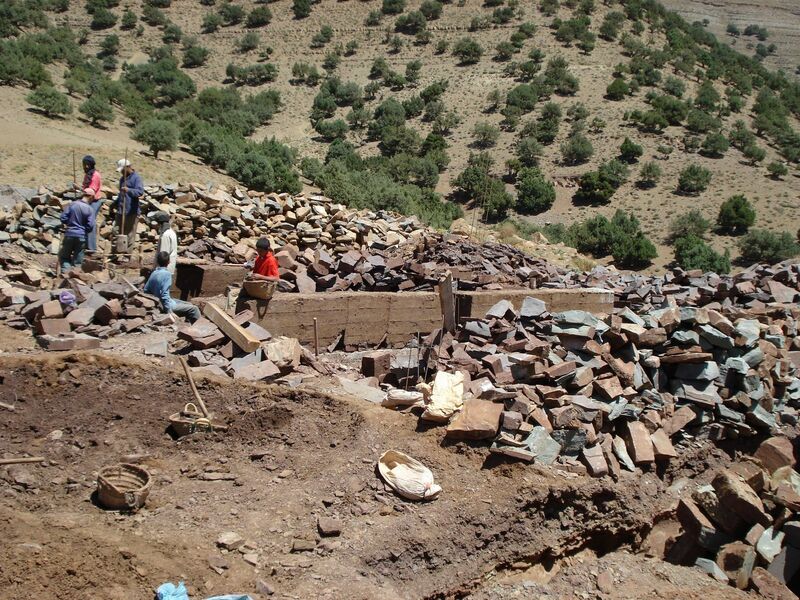 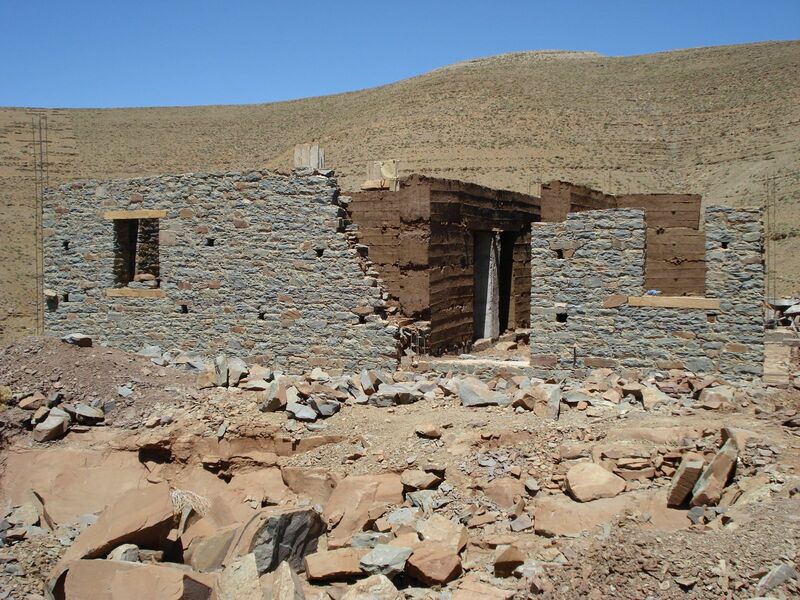 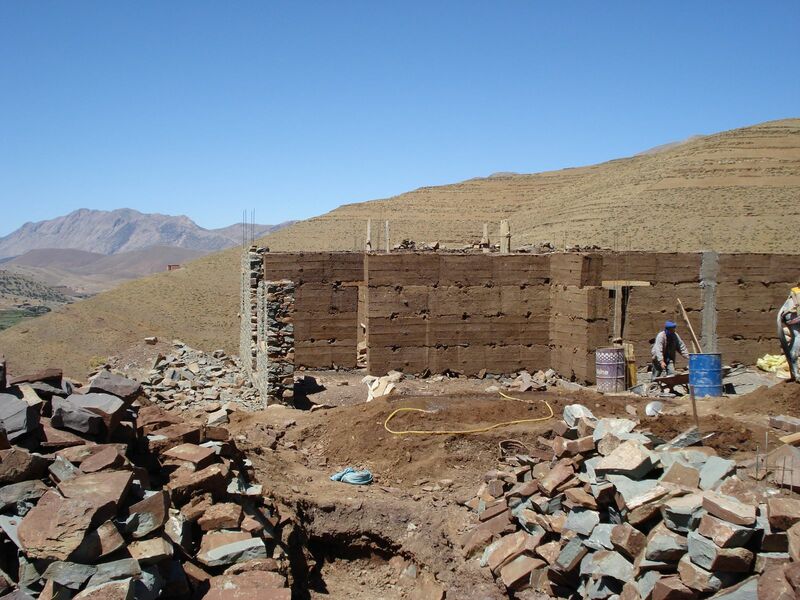 Between March and October, the crew built the stone (azrou) foundation and adobe (tabout) walls. 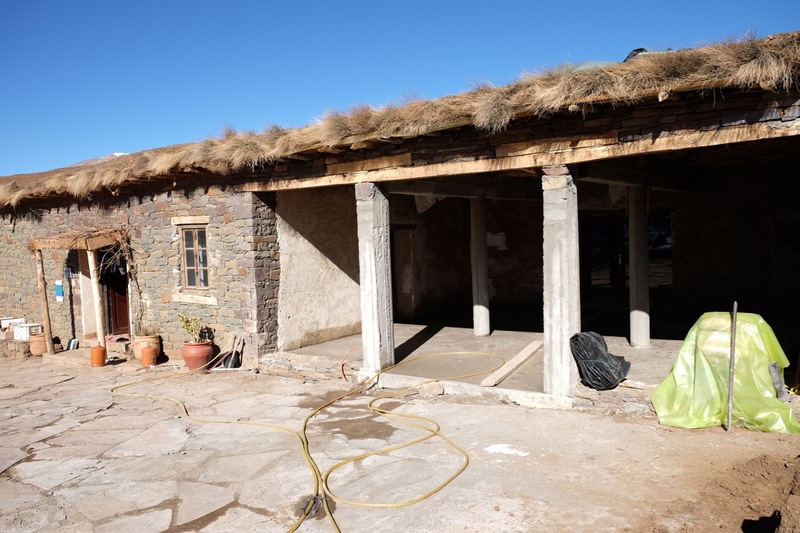 Then, before winter arrived, the mud roof was installed. 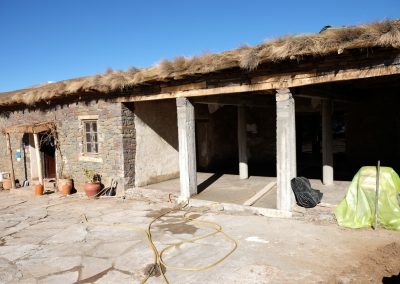 With the exterior complete, the finishing touches were added. 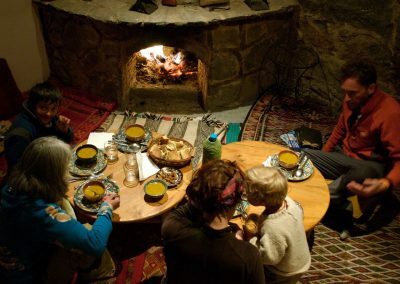 A fireplace where travellers gather on winter evenings was designed and built on site using local materials and techniques, including tadelakt (a mix of lime plaster). Then it was time to secure the necessary licences and authorizations, and Touda opened its doors in 2009. 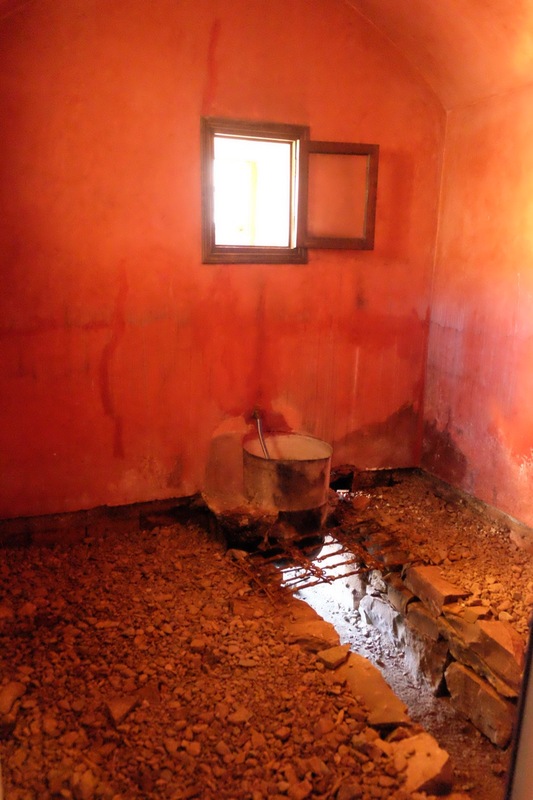 When they say make yourself at home, we really mean it here at Touda EcoLodge. 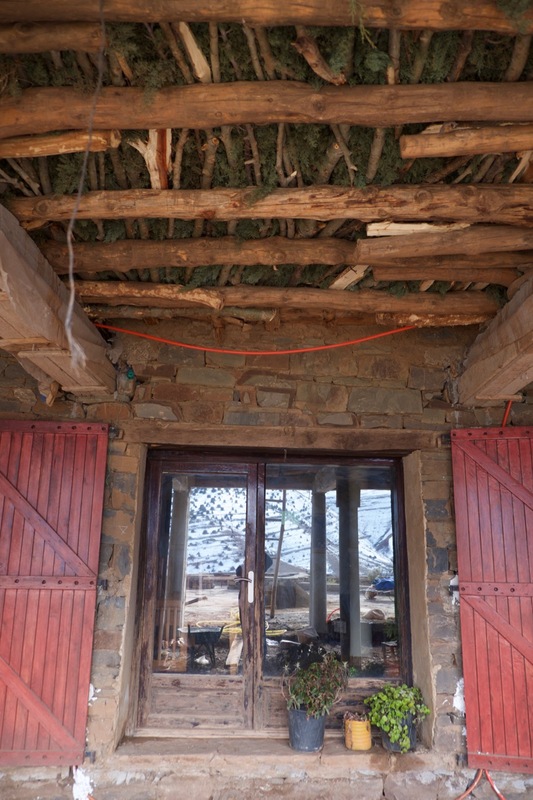 After all, we built the house in a traditional style, but one where authenticity meets modernity. 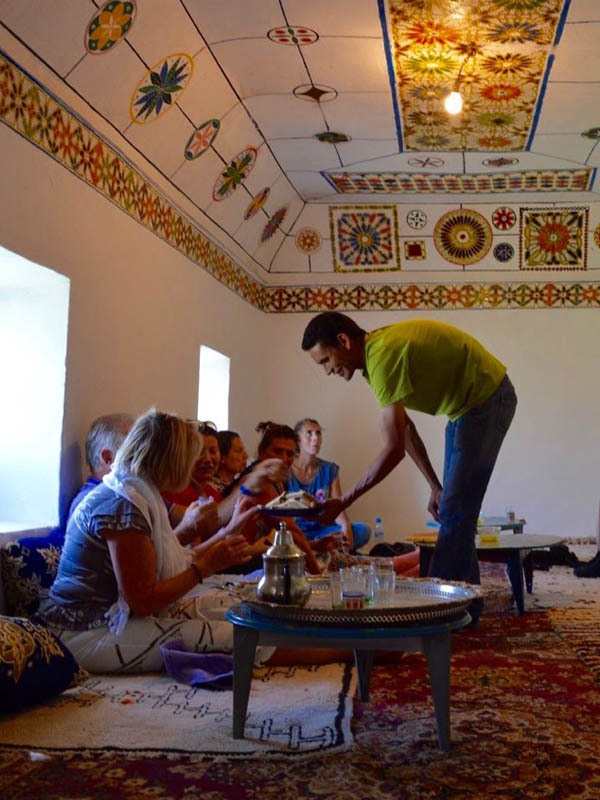 Common spaces invite guests to gather around and share travel tales while local staff impart their culture through music, food and dance. 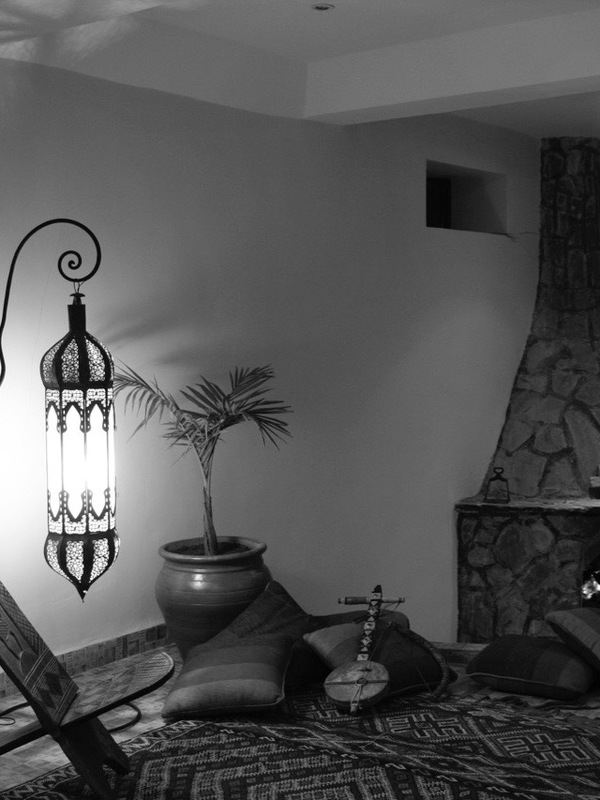 Meanwhile natural light floods in to the salon through the arcades giving on to the terrace overlooking the valley. 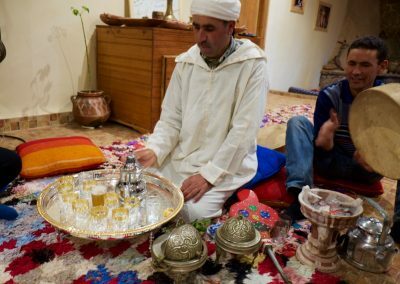 Mint tea flows freely and it’s not uncommon to see guests rolling up their sleeves and learning a thing or two from the dada in the kitchen that opens on to the common spaces. 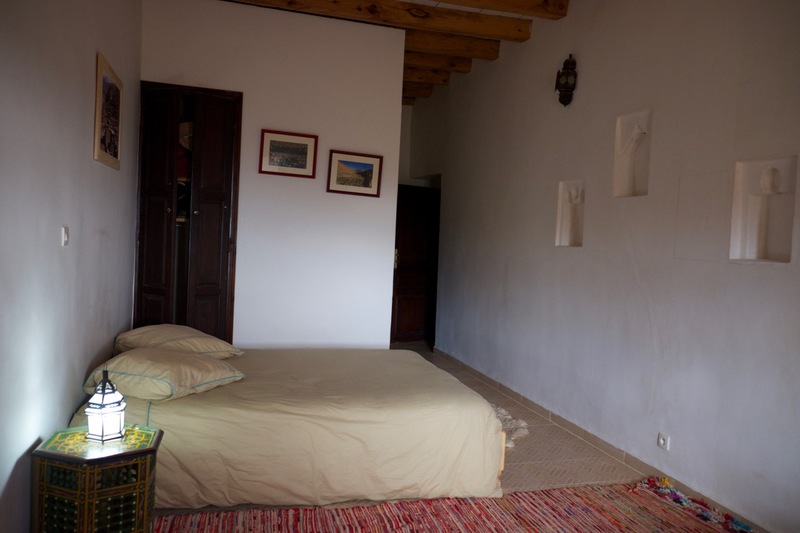 But for those seeking a bit more solitude, we can ensure that too! 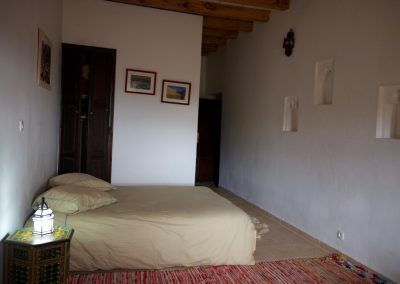 A library is stocked with books about local culture as well as the flora and fauna of the Ait Bougmez Valley, and even novels left behind from fellow travellers. 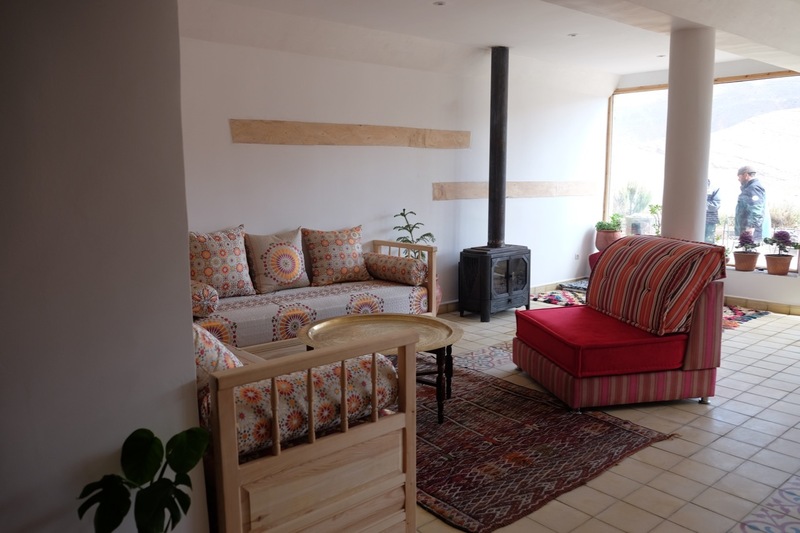 Curl up next to the fireplace on a winter’s day or head out to the terrace and soak up the sunshine for a bit of reflection. 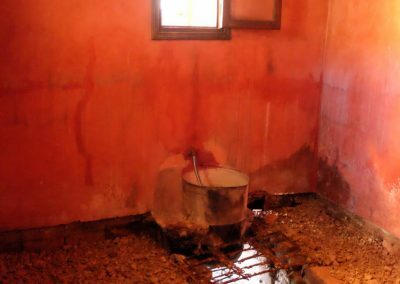 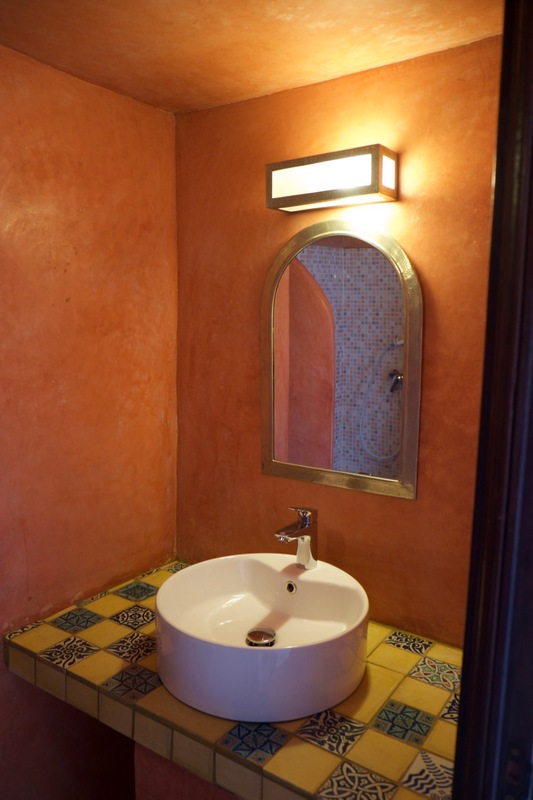 In keeping with the local style, the house features a traditional tadelakt hammam which guests are welcome to use upon request. 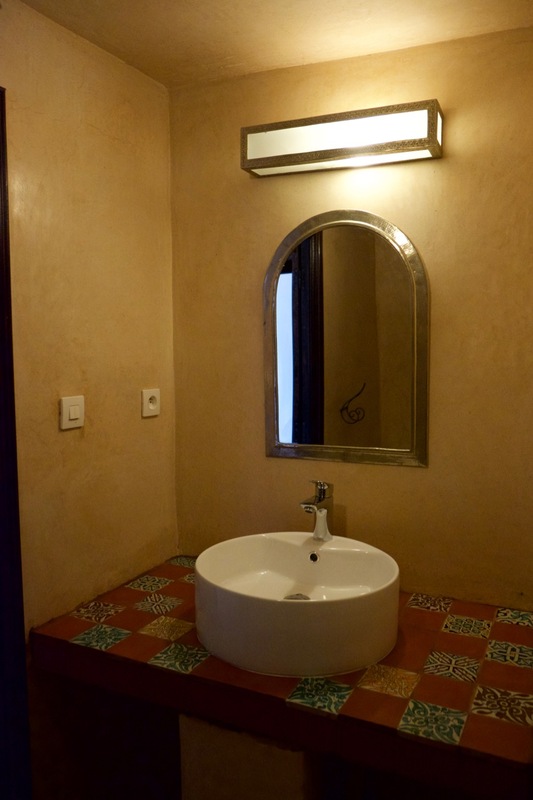 And to remain environmentally friendly, solar panels provide the hot water for guests. 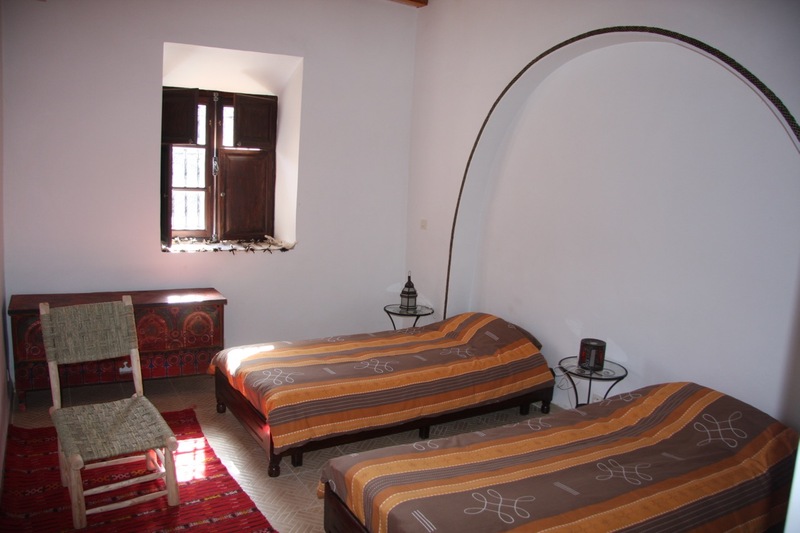 With eight rooms (four twin, two double and two family rooms), the house can accommodate up to 18 guests. Step outside and on to the terrace where you’ll enjoy views of the valley, and a silence that is punctured only by the sound of the village children of laughing and running freely. 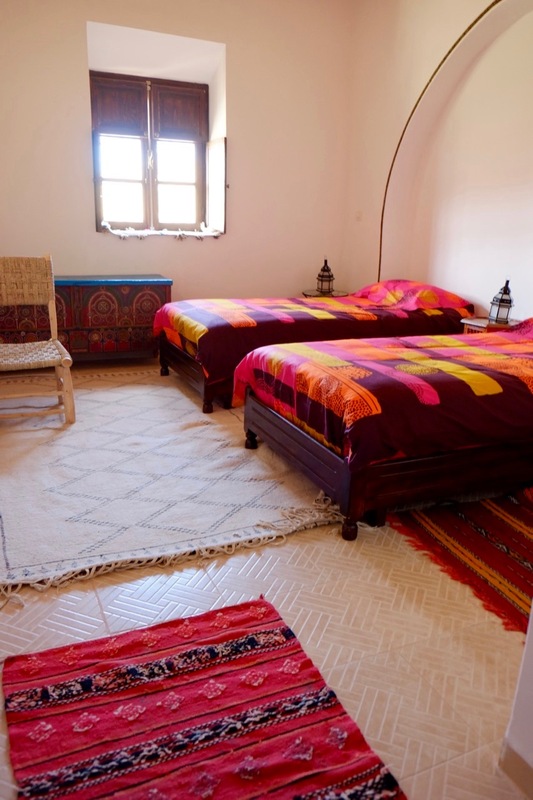 With a picture window providing mountain views along with authentic Berber touches, this room features, twin beds with comfortable linens, en-suite bathroom with bath linens and products and storage space. 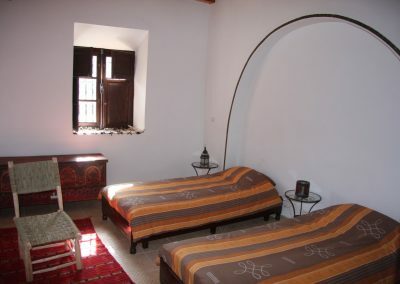 Perfect for two friends travelling together or children in one room, parents in a double room nearby. 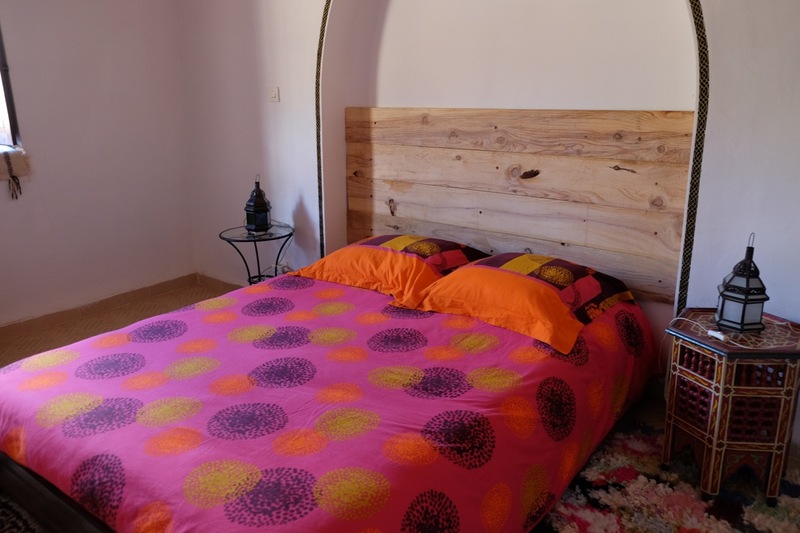 As the name implies, the room features a double bed with an ensuite bath. 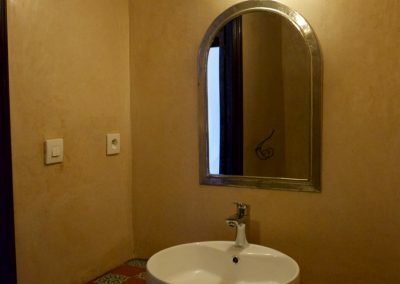 But it also has little creature comforts such as bath linens and toiletries provided as well as a hair dryer and a window to the outside world complete with stunning landscape views. 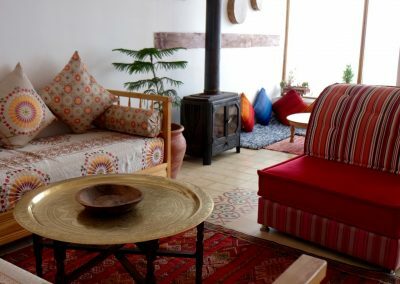 You’ll find locally sourced Berber artefacts and decorations to add a bit of intrigue, and of course a local touch to your stay! 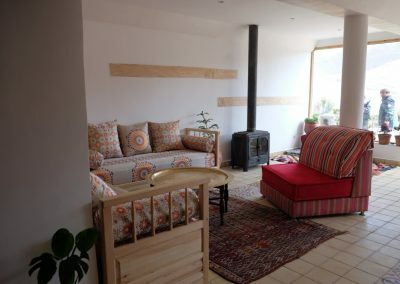 This is for the travelling family looking to fit the entire crew in to one room. 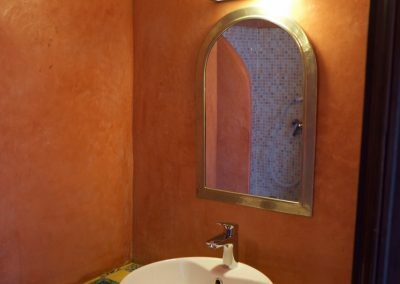 Located slightly away from the common areas, the family suites are just the solution when travelling with small children. 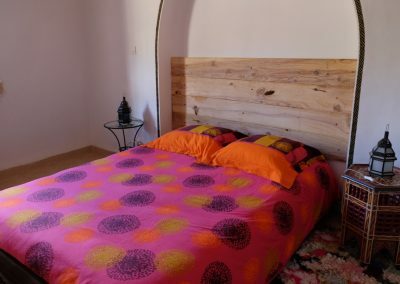 A double and two twin beds along with a private en-suite bathroom in a spacious suite provide privacy, while the room is large enough to comfortably relax and unwind. 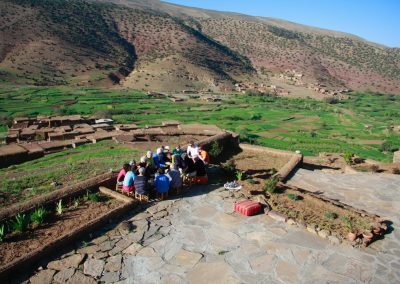 Now that you know the lodge, have look at the valley !